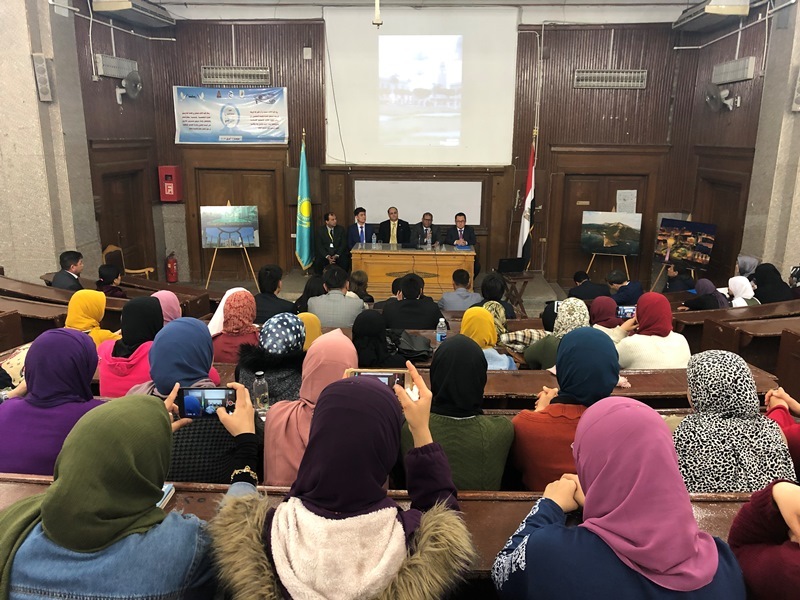 NUR-SULTAN – Cairo University has added Kazakh language as a major in the Faculty of Literature, it announced at its March 21 ceremonial opening. “Lately, there is a growing interest in Egypt in learning Kazakh language, which is due to the socio-economic development of our state, the strengthening of its role in the international arena as a reliable partner and a significant increase in the flow of tourists from Kazakhstan to Egyptian resorts. Experts in the field of tourism note the absence of guides and operators providing services in the Kazakh language today,” said Kazakh Ambassador to Egypt Arman Issagaliyev. 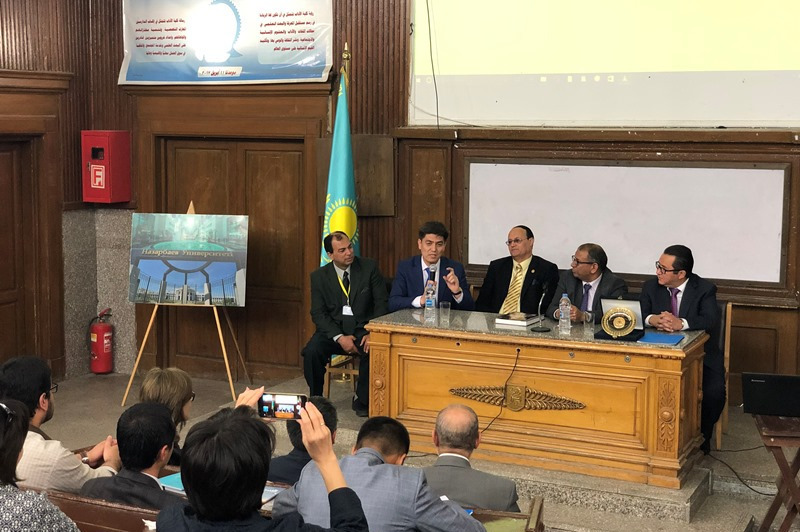 Cairo University launched Kazakh as a programme in autumn and courses were initiated as part of the Ruhani Zhangyru (Modernisation of Kazakhstan’s Identity) programme. 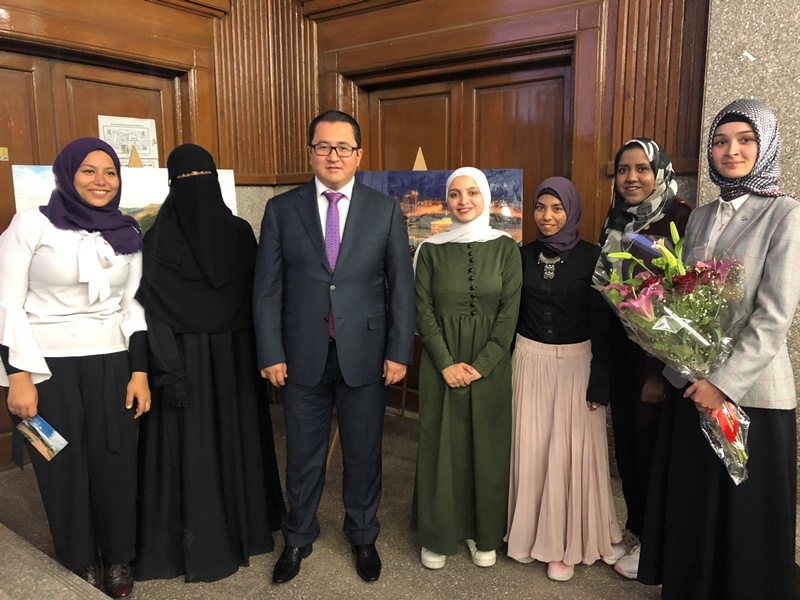 Al-Azhar University graduate Rabiga Tolebay teaches Kazakh language. In the first open lesson, Egyptian students sang the Kazakh national anthem and read poems of poet and philosopher Abai Kunanbayev. In addition, they performed a number of short plays in the Kazakh and Arabic languages, ​​presenting Kazakh traditions. Representatives of the Kazakh embassy and the faculty’s dean, as well as Kazakh and Egyptian scientists, participated in the lesson. “The Kazakh language, which is among the 40 most common languages ​​of the world, remains very ancient and has retained its lexical composition. Our language, which is part of the Altai group, also has a connection with the Arabic language. In particular, in the Middle Ages, during the golden period of Islam, more than 1,500 words from the Arabic language entered the Kazakh language, especially those related to science and education. This fact will make it easier for the Arabic peoples to learn the Kazakh language,” said Issagaliyev. Cairo University students with Kazakh Ambassador to Egypt Arman Issagaliyev. Photo credit: inform.kz. Founded in 1908, Cairo University is the oldest and largest secular university in Egypt and the Arab world. The university has 20 faculties, 10 research institutes, one observatory, two hospitals and 10 medical centres. More than 170,000 students study at the university, 6,000 of whom are foreigners. Cairo University leads in world rankings in a number of its specialised studies. It is in the top 100 best universities in the world in pharmaceuticals, top 250 in medicine, top 200 in engineering and top 300 in chemistry. Among university graduates are Nobel laureates such as writer Najib Mahfouz and diplomat and former IAEA Director General Mohamed ElBaradei.